Marks/Label: Name in box is "ELMER CLARK BRYSON". Attributed to Lieutenant Elmer Clark Bryson. 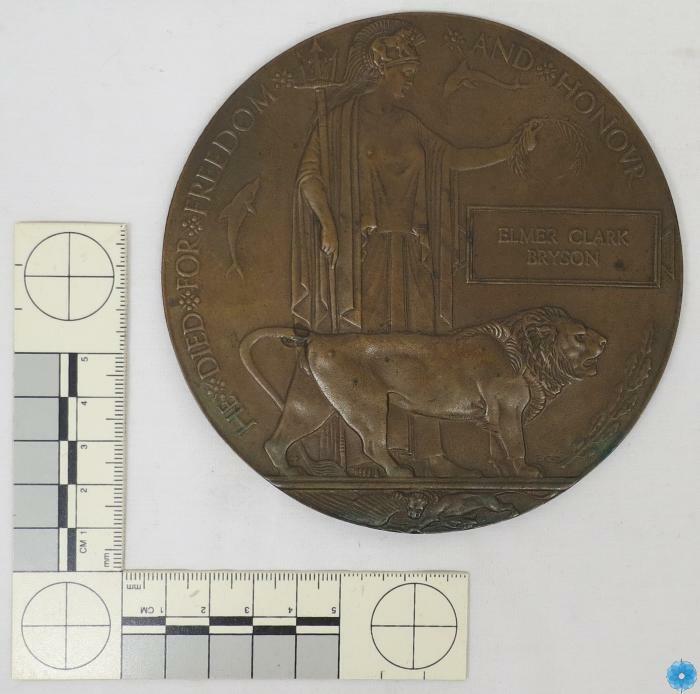 Description: A bronze circular Memorial Plaque for a named 13th Battalion soldier; Plaque depicts Britannia holding a trident and wreath with dolphins over her shoulders and a lion at her feet; Name of fallen soldier is in a box above lion's head; along the edge the word "He Died For Freedom and Honour".